The hard-wearing plastic exterior is splash proof, Water, weather and tear resistant. Multipack of 15 individual card holders, Perfect delicate cut design the Card sleeves easy to put into the wallet, Just right space. 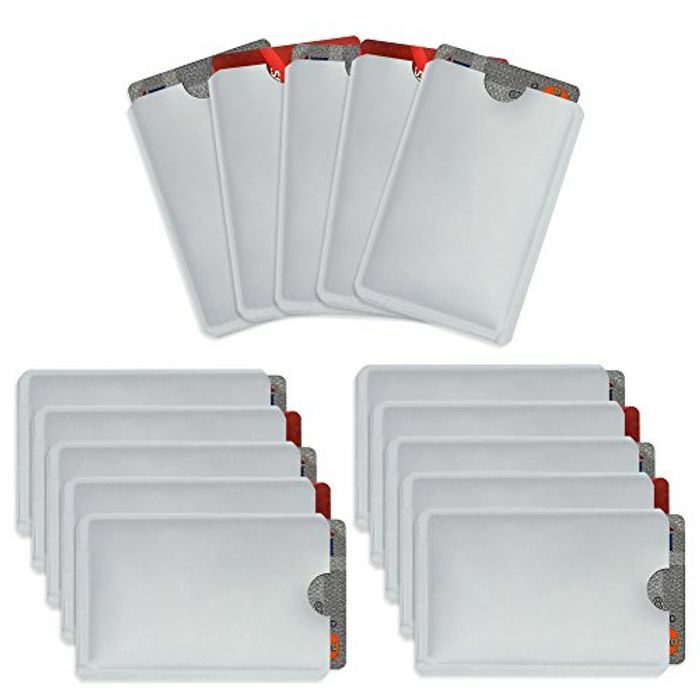 The RFID-blocking sleeves provide a protective security barrier to stop the RFID chip signal, Shields contactless credit cards, enhanced drivers licenses and many transit cards.